UK builder of premium level trikes, from the deluxe suspended cruiser Adventure, unstoppable off-road FullFat, fast and versatile Sprint-X, and the peak performance racing VTX. ICE will be providing crew support for the VTX during the Texas Trike Shootout. US builder of fast bikes and now a fast trike. Bacchetta revolutionized the design of racing recumbents in the early 2000’s and brought carbon fiber recumbents into the mainstream. The introduction of the CT2.0 brings this bike company into the booming trike market in a badass manner wholly in line with their badass philosophy. Bacchetta will be providing crew support for the CT 2.0 at the Texas Trike Shootout. US builder of some long-time favorite trikes here at Easy Street. Catrikes are not necessarily the cheapest trikes, but they are a great value in bang for the buck. Catrike has just introduced the new Eola, an economically-priced Catrike, and we’ll be showcasing it at the rally. Ride it and review it to get a chance to win an Eola in our our raffle. This is the most lavish raffle prize we’ve ever had. US builder of trikes for the masses, including the revolutionary Rover line of trikes, the ultra-compact folding Traveler, and the new Gran Tourismo, destined to be a paradigm of sporty trikes. TerraTrike also produces the widest variety of accessories for trikes from any trike maker. TerraTrike will be donating two $300 gift certificates for TT accessories to the raffle. 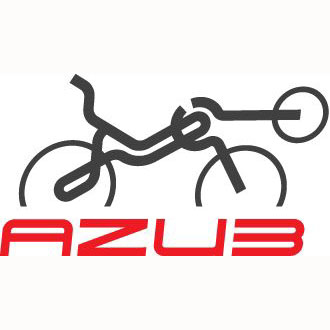 Makers of exquisite upgrade parts and accessories for recumbents. Most importantly, we’re getting da man, Pat Franz, founder of TerraCycle and mind behind all those gizmos that make us contraption captains happy. Pat will present at Recumbent University, and generally be around to swap stories about recumbent life with our guests. TerraCycle makes the commemorative rally flags that all our guests will take home. See more about those here. Easy Street’s primary tire and tube supplier for decades has been a steady support of the Heart of Texas Recumbent Rally. Schwalbe makes an array of quality tires in the sizes that ‘bent riders need. They even introduced the Tryker, a tire built specifically for the wear patterns induced by trikes. It is no surprise that all our trike lines now use Schwalbe tires exclusively. As in previous years, Schwalbe will be donating two sets of tires of the winner’s choice to our raffle. This iconic cycling electronics supplier makes the powerful Rapid-X series of visibility lights, with powerful, cutting-edge LEDs, a variety of flash modes, and a highly flexible mounting system which is handy for recumbents. We’ve even mounted Rapid-X lights up on flagpoles for enhanced visibility. 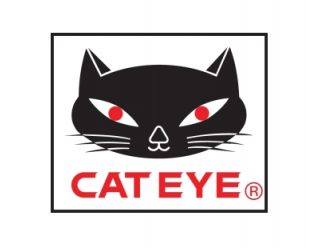 Cateye will be donating our useful and reusable goodie bag bags, and several lights to our raffle. Sportcrafters makes indoor training rollers for bike and trikes, as well as lightweight, folding trike workstand that we’ve used for years. They will be donating two Overdrive trainers to our raffle. This Japanese bikes parts juggernaut succeeded in taking over the world not long after the Imperial Japanese Army’s unsuccessful attempt in the 1940’s. They are reason we’re all using metric tools here in the bike industry, thank goodness. Shimano will be donating a few sets of their famous bike pedals to our raffle, along with various items of high-class schwag. We met Silvana at a BikeDFW Meet & Greet and were immediately taken with her gifts, jewelry, and apparel for cycling enthusiasts. She will be donating to the raffle and is planning to have a booth set up on Saturday to sell her wares. Welcome, Silvana! Recumbents are ideal for long-distance touring, and we’re looking for ways to develop a culture of Texas. Be on the lookout for some activities involving this dedicate group of cycle touring advocates. They are giving us copies of Adventure Cyclist magazine and FREE 6-month memberships for everyone. Check out the resources these folks make available. This Canadian builder of cycling luggage makes bags with recumbents in mind. We stock their versatile seat bags, the capacious RT40 and RT60 recumbent specific touring panniers, and a variety of other sturdily made bags warrantied for your lifetime, no muss, no fuss, every stitch, rivet, and zipper. We’ll be raffling off three of their recumbent seat bags, and one of their Pelikan trunk bags, now in yellow. Ventisit’s clever design of seat cushion is both supportive and breathable, giving you more riding comfort. Bart van Crasbeek, Mr. Ventisit, is donating two Ventisit pads (winners’ choices) to our raffle. Be sure to try a Ventisit pad on your ride when you come to the Rally! Our favorite brand of mirror, indeed, the number one mirror used on recumbents. I need a Mirrycle every day. They will be donating mirrors and bells to our raffle gift baskets. We don’t really need to sell you on these mirrors. Your trike is probably already bristling with them, but they do stick out and can take a beating sometime, so it pays to keep a spare. Where’s the beef? Right here, buckaroo! These people won’t be encouraging you to eet mor chikkin! They are donating several items to our raffle. We’d asked if they were interested in sponsoring the chicken roping, but they declined. 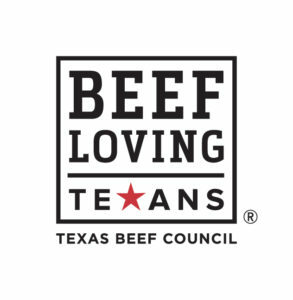 In fact, we called up the Texas Poultry Council and tried to sell them on the idea, but the polite gentleman at the Poultry office demurred. Moo.